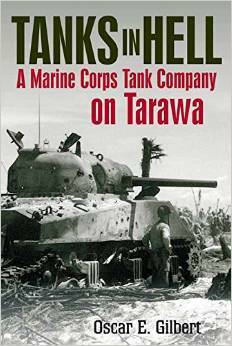 Amazon is listing a release date of May 19, 2015 for the upcoming book Tanks in Hell: A Marine Corps Tank Company on Tarawa by Oscar E, Gilbert and Romain V Cansiere. Published by Casemate, this is a hardcover book with 256 pages. 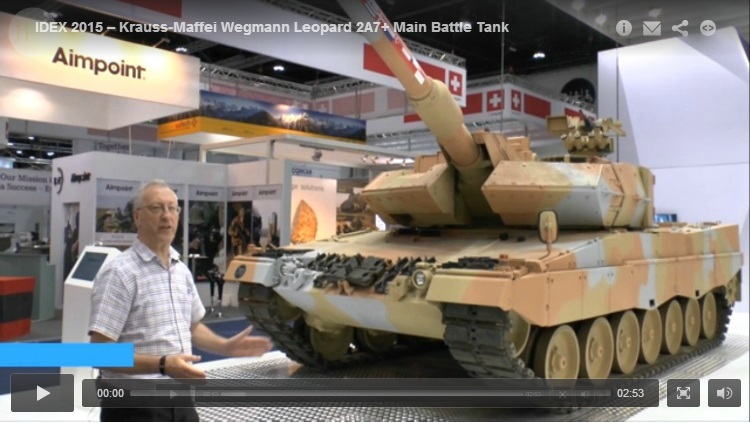 Jane’s reporter Christopher Foss describes the latest version of the Krauss-Maffei Wegmann Leopard 2 tank in this video filmed at the IDEX 2015 Convention in the UAE. The embed code does not seem to be working, please click here to view video. The Tank Museum has released a second video in it’s series of “tankchat” video clips with tank historian David Fletcher. This episode focuses on the Carden Loyd Carrier. 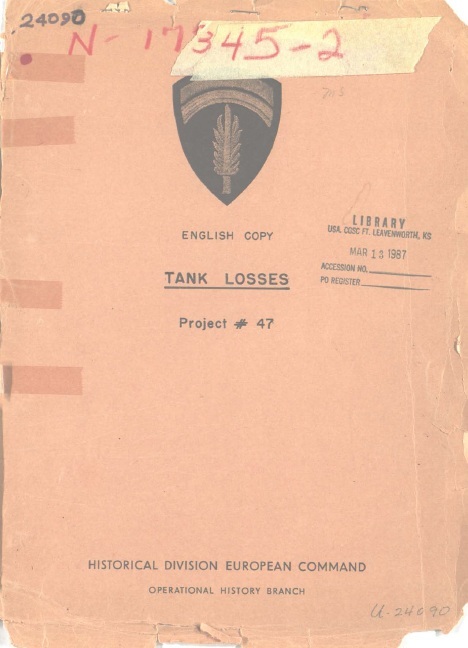 Today we present document MS # P-059 Project # 47 German Tank Losses published on Nov 7, 1950. This document was compiled by former Generalmajor Herman Burkhart Meuller-Hillebrand, who served as the chief of staff to the Third Panzer Army. The document includes lists of German tank types with quantities in service by date. 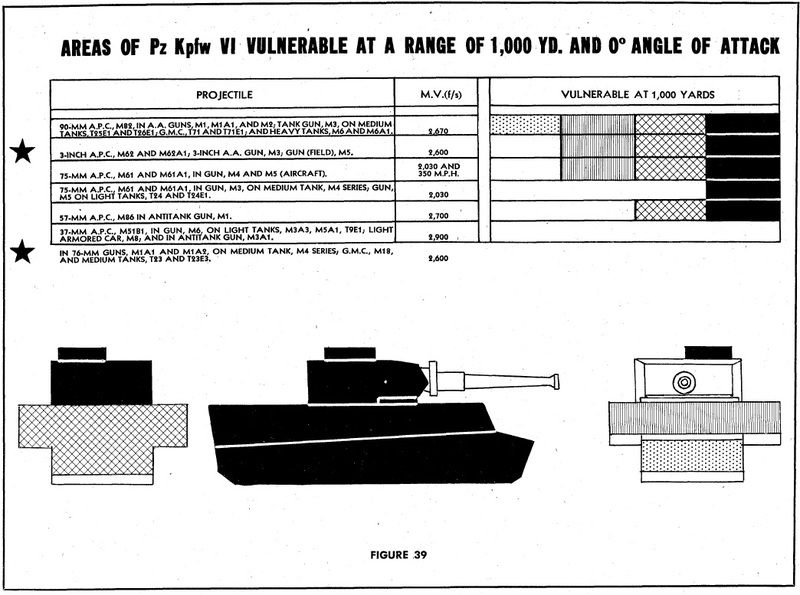 There is also included a penetration chart for KwK and Pak guns. Also included are stats for tank strength for a given date by front. At the end of the report are three detailed charts showing tank strength, tank losses and tank production by vehicle type and month. Today we present one of the best collections of tank and AFV photos online. This gallery is posted on Photobucket belongs to Neil Baumgardner. Mr. Baumgardner is one the moderators at the AFV News Discussion Board. According to his bio page at the discussion board, he worked as a reporter from 1999-2003 covering the Army and international weapon systems programs. The photo gallery is very well organized and easy to navigate. The photos are organized by locations and in some cases, further broken down by vehicle type. Please view the gallery here.